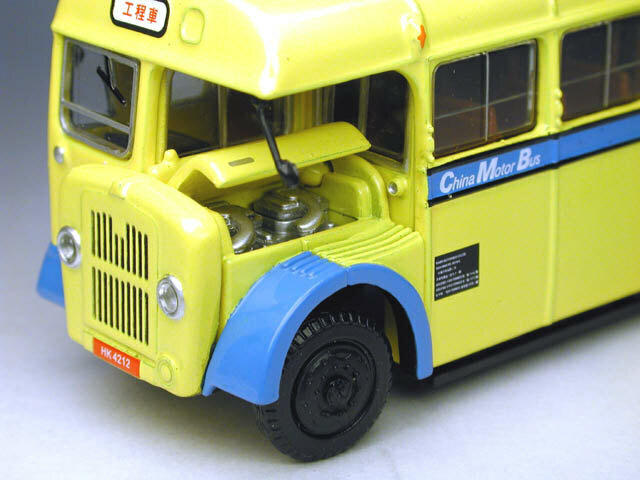 The model - The third issue of the Buses Model Guy Arab single-decker was announced, and released, in March 2001. 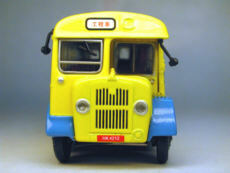 This casting has not been used since. 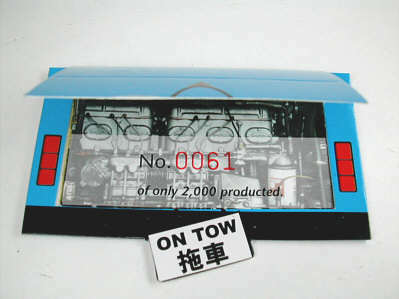 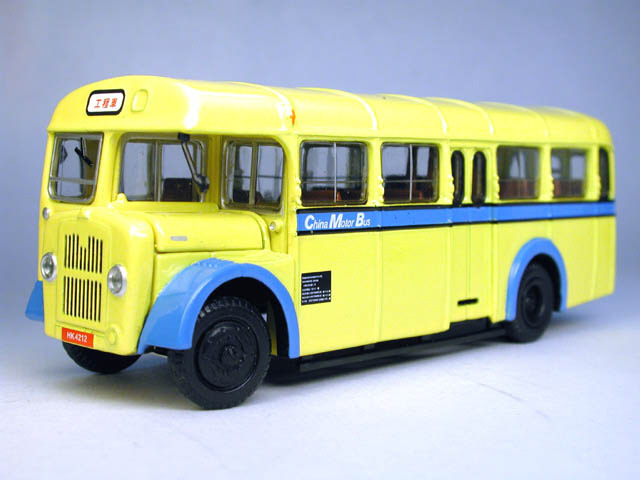 Best Choose have since issued a model of HK4212 in it's earlier bus livery, and featuring the correct exposed radiator - see 02011. 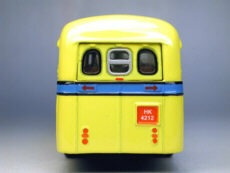 The bus - Delivered new in June 1955, HK 4212 was one of a batch of ten short wheelbase Guy Arabs with Metal Sections bodywork. The actual vehicle, which is photographed in Mike Davis's excellent book 'Hong Kong Buses - China Motor Bus - 65 years', was in fact fitted with an exposed radiator. 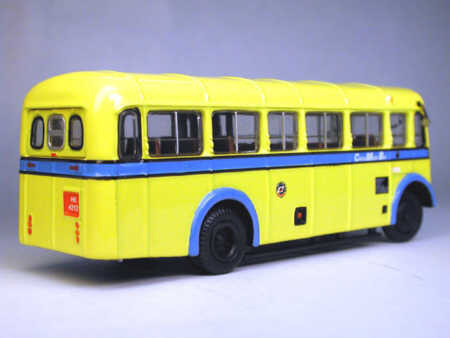 It was withdrawn in 1976, finding subsequent use as a towing vehicle, and carrying the yellow and blue livery of the model.